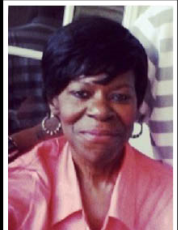 Linda Marie Pettway born Dec. 6, 1955, passed Oct. 17, 2018 in Mobile, AL. She is survived by a loving and devoted sister Lora Pettway Patton; two loving aunts, Floudie and Ellen Pettway, a host of nieces, nephews, other relatives and friends. Visitation will be Sat. Oct. 27, 2018 from 10 a.m. until the 12 noon funeral hour at Toulminville Warren United Methodist Church, 2271 St. Stephens Road, Mobile, AL 36617, Rev. Fredrick G. Outlaw officiating. Interment in Whispering Pines Cemetery. Services entrusted to Hodge's Chapel, L.L.C. 701 Dr. M.L. King Jr. Ave. Mobile, AL 36603.